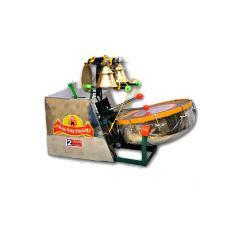 Musical Drum for Temple is offered in sizes from 65 X 50 X 52 cm to 122 X 41 X 74 cm. The Musical Drum can be used in temple sizes ranging from 250 to more than 1250 square feet. The Musical Drum is capable of providing efficient performance. Sizes from 65 X 50 X 52 cm to 122 X 41 X 74 cm. Can be used in temple sizes ranging from 250 to more than 1250 square feet. Supplier : Haribhau Vishwanath Co. Supplier : Nadir Ali Co.